Kelly was born in Greensboro, North Carolina but raised in Duluth, Georgia. She graduated from Georgia Southern University with honors in 2013. 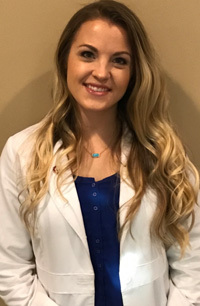 She started her nursing career as a Labor and Delivery nurse at Northside Hospital and worked for four years before obtaining her Master’s degree at South University. She graduated with honors from South University in 2017 and is a certified Family Nurse Practitioner. Kelly enjoys taking care of patients across their lifespan, with a special interest in women’s health, obstetrics, and patient education. She enjoys working with adolescents and women during different seasons of their reproductive health. Kelly married her high school sweetheart and currently lives in Hoschton, Georgia with her husband and first child. She enjoys running, refurbishing furniture, spending time with friends and family, and watching college football—Go Buckeyes!